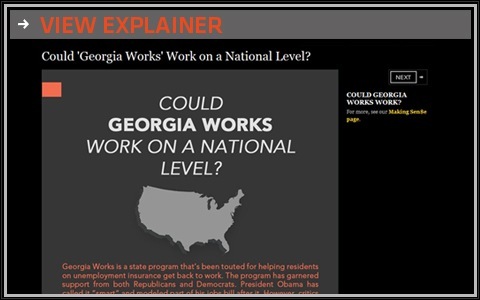 Editor’s Note: On Wednesday’s program we examine Georgia Works, a state program that’s been touted for helping unemployed residents get back to work by pairing job seekers with employers who are willing to promise on-the-job training. The trainees are not paid, but are allowed to continue receiving unemployment insurance benefits while they’re enrolled in the program. The hope is that if there’s been a successful match, the employer will hire the trainee at the end of the program, which lasts up to eight weeks. *Lis Cap gets on-the-job training at AppedOn through the Georgia Works program, where she learns how to build apps from Sosh Howell.